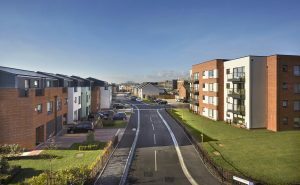 This month, it will find out if the development has been successful at the Thames Valley Property Awards – for Esidential Development – and the RESI Awards – for Development of the Year. Milestone is on a previously disused Council owned site. It contains 73 new homes, a mixture of one and two-bedroom apartments and two, three and four-bedroom houses. The development also included over 30% affordable housing. First launched in summer 2016, the homes were popular among local buyers, enjoying a sell-out success. The first of the new residents moved in, December 2017, with the final few sales completing by late summer 2017. It was SUR’s first residential scheme. Help to Buy was widely used, with 78% of buyers using it to assist with their purchase. Slough is represented in four further categories at the Thames Valley awards, including Town of the Year. Slough Urban Renewal (SUR) is a partnership between Slough Borough Council and Morgan Sindall Investments.